SHARMINI PERIES: It’s The Real News Network. I’m Sharmini Peries, coming to you from Baltimore. The G7 countries met in Quebec last weekend to discuss trade policy, climate change and gender equity, among other things. However, the meeting agenda was completely derailed by talks of Trump’s trade tariffs on steel and aluminum. Trump also refused to sign the previously agreed upon statement and lashed out at Canadian Prime Minister Justin Trudeau. Trump claimed that the U.S. will no longer be the world’s piggy bank and offered an all or nothing approach, either abolishing all tariffs within the G7 or no cooperation with the U.S., which some analysts constitutes as a trade war. 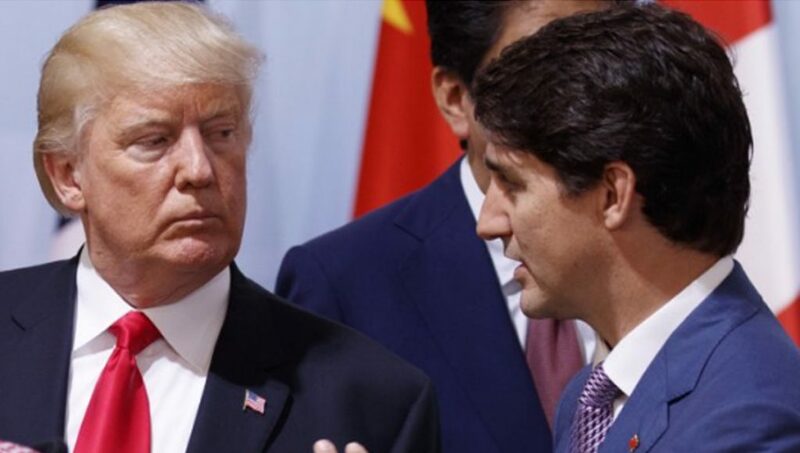 In an angry tweet right after Prime Minister Trudeau’s press conference following the G7, aboard Air Force One on his way to Singapore, Trump wrote, “Based on Justin’s false statements at his news conference, and the fact that Canada is charging massive Tariffs to our U.S. farmers, workers and companies, I have instructed our U.S. Reps not to endorse the Communique as we look at Tariffs on automobiles flooding the U.S. Market,” he wrote. This is Trump now, in Singapore, at a press conference the next day when he was asked about the tariffs. DONALD TRUMP: The United States, because of bad management at the top, because of presidents that didn’t care about trade or didn’t understand it or whatever reason- for many years, with China being, obviously, the most successful at it, but the European Union is second, one hundred and fifty-one billion we lost. They were represented at the meeting. And we’re being taken advantage of on trade. Canada does have very big advantages over us in terms of trade deficits. We have a big trade deficit with Canada. They don’t take our farm products, many of them, they charge what was two-hundred and seventy percent, but somebody told me the other day that a few months ago they raised it to two hundred and ninety five percent for dairy products. And it’s very unfair to our farmers and it’s very unfair to the people of our country, the workers, the farmers, the companies. And we are not able to trade. 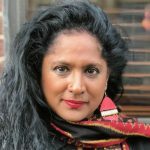 SHARMINI PERIES: In recent weeks, the rift between the U.S. And Europe and between the U.S. and Canada has been widening. Here is Justin Trudeau, responding to Trump’s tariffs. JUSTIN TRUDEAU: It would be with regret, but it would be with absolute certainty and firmness that we move forward with retaliatory measures on July 1, applying equivalent tariffs to the ones that the Americans have unjustly applied to us. I have made it very clear to the president that it is not something we relish doing, but it is something that we absolutely will do. Because Canadians, we’re polite, we’re reasonable, but we also will not be pushed around. SHARMINI PERIES: Even the newly elected Conservative Premier of Ontario, Doug Ford, had this to say. DOUG FORD: I can tell you, on the trade deal South of the border, we stand shoulder to shoulder with the Prime Minister and our federal counterparts. My number one priority is to protect the jobs here in Ontario, especially protect the steel workers, aluminum workers. That’s going to be a priority. SHARMINI PERIES: Joining me now to analyze the economic consequences of this G7 meeting and these tariffs are Bill Black and Gerald Epstein. Bill is a white-collar criminologist, former financial regulator and Associate Professor of Economics and Law at the University of Missouri, Kansas City. He’s the author of The Best Way to Rob a Bank Is to Own One. Thanks for joining us, Bill. SHARMINI PERIES: And Gerry Epstein is Professor of Economics at UMass Amherst and he is the co-director of The Political Economy Research Institute at UMass Amherst. 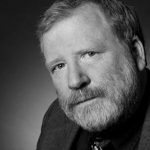 Gerry has authored many books, but a recent article he has written is relevant to this discussion, titled, Do U.S. Workers Gain from U.S. Imperialism? Thanks for joining us, Jerry. SHARMINI PERIES: All right, Jerry. Let me start with you. Do you expect this escalation over the tariffs, where Canada and the EU will follow through with their targets to impose retaliatory tariffs, will actually take place? GERALD EPSTEIN: Well, I think it’s pretty clear that the Canadians have to respond, given Trump’s insulting language and the support from all sides there to stand up to to the Americans. So, there probably will be some retaliation. The Europeans are slow to do things, but again there, there’s probably going to be- has to be some kind of response. However, we don’t really know to what extent this is going to go beyond this. A lot will depend on domestic politics and how far each side is willing to go. I should say the Canadians are not in a strong position because they’re so much more dependent on trade with the U.S. than the United States is on trade with them. The Europeans are in a bit stronger position, yet they have this problem of coordinating the decisions of different states, and Europe is in quite a bit of disarray, it’s been there for a while. But if it doesn’t escalate way beyond this, then there’s probably not going to be that much harm economically, though there’s deep political divisions that do have implications. But it could get out of hand, especially given how unpredictable Trump is and how much he’s trying to play the kind of Steve Bannon card to appeal to American workers. SHARMINI PERIES: Given the situation, Jerry, would you consider this a full-fledged trade war between the allies? What is happening, especially if there’s these retaliatory tariff measures? GERALD EPSTEIN: Well, I don’t think it’s a full-fledged trade war yet. This is still kind of the first steps. But it’s something we haven’t seen in a long time, it’s not an ordinary situation between us and our so-called allies, it’s not an ordinary situation with the G7. It represents the fact that Trump is trying to appeal and solidify to his base. And rather than do anything really substantial to help them. He flings around these epithets and insults and does a small policy here or there. And this kind of thing can get out of hand. SHARMINI PERIES: All right, Bill. The EU has already said it is going to challenge U.S. tariffs under WTO rules. If the WTO agrees to the challenge, this could mean punitive tariffs for the U.S. if they’re actually found guilty. Now, what would that likely mean for this conflict that’s going on over the tariffs? BILL BLACK: That doesn’t really mean very much different than what Canada will do, which is just put on retaliatory tariffs right now. The United States is in very shaky legal grounds. It is cited, as its supposed excuse for its actions, national security, and trading with Canada poses a threat to our national security, which is among Trump’s many lies. This is one of the ones that’s craziest. It’s a little bit like the Brits invoked their anti-terrorism laws against Iceland after the 2008 financial crisis. You can imagine how well that went down politically in Iceland and it’s going down the same way. Trump is solidifying a fairly fractious Canadian electorate as having to stand up to the United States. As Jerry said, this is not a full stage war, but it could be the equivalent of fighting in the Balkans that could lead to that war. And recall that all of this is premised on a whole series of lies that- you gave those clips from Trump. All but one of the things he said was a lie. So, no we’re not the piggy bank and no, we don’t “lose” when we buy cars from Canada. For example, I grew up in Detroit and was born in Detroit and grew up in Dearborn. There are tons of American parts and supply workers that supply the Canadian automobile industry, which then exports cars to the United States, which Americans consumers like to buy. So, both our ability as consumers to buy and our ability to get jobs as American workers in the automobile parts, are going to be hurt by this. And so, it’s not so much the law is going to do anything, it’s that it looks like both the EU and Canada and eventually China are going to play it smart. It looks like they’re going to put selective tariffs on that really hurt red state Trump proponents. And of course, this could be the difference in tight races, House races in the upcoming election, and it actually could end up providing the margin that causes the Republicans to lose control of the house in the upcoming election. SHARMINI PERIES: Now, Jerry, Trump says that he would like to see zero tariffs, but as long as the U.S. allies continue to impose targeted tariffs on U.S. products, the U.S. is getting a bad deal, he says. He specifically mentioned a two hundred and seventy percent tariff that Canada imposes on U.S. milk and dairy. What do you make of this argument? GERALD EPSTEIN: Well, first of all the average tariff rate that Canada has is no higher than what the U.S. has and the ones the Europeans have, it’s no higher than what the U.S. has. So, for these countries, tariffs generally are very, very low. But yes, all over the industrialized world, there are particular sectors, and particularly agriculture, that does get special protection. This is a longstanding issue and people are grousing about it all the time. But the Canadians could equally point out to various kinds of restrictions that the U.S. has on particular Canadian products. So, this is just picking an example completely out of context. And as Bill said, most of these things are fibs if not outright lies. SHARMINI PERIES: All right, on a geopolitical level, Bill. The New York Times columnist Paul Krugman recently wrote that Trump acted as a Russian agent at G7 when he was arguing that Russia was kicked out of the G8 four years ago because of its invasion of Ukraine. And at the G7 summit Canada, Trump said that he would like to see Russia return to the summit. What do you make of that? BILL BLACK: So, that’s nonsensical on the grounds that Trump is talking about. The G7, you’re talking about the seven largest economies in the free world. Russia has a relatively small economy, smaller than Italy, for example. And there’s nothing free about Russia, in terms of either the economics or, of course, political-type freedoms or social freedoms or religious freedoms, for that matter. So, it makes absolutely no sense. And if Trump were serious about seeking zero tariffs, it would also be not only a distraction, but counterproductive to bring Russia in. Because Russia is a maze of what we call nontariff barriers to trade, which is to say, it’s all very nice that you might theoretically be able to bring about them and trade, but if you can’t ever get the permits, if the contracts in supposed competitive bidding always go to the oligarchs who kickback money into Putin’s pockets, then there really isn’t free trade. So, Jerry’s right. Canada, A, contrary to what Trump said, we have a trade surplus, as his own Council of Economic Advisers has put in print, with Canada, right? Surplus, not a deficit. And so, again, you’re punching into a marshmallow where none of these things are actually being done for any of the supposed stated reasons. Jerry is quite right. To the extent that it’s anything, it’s a political play to pick up key voters in Pennsylvania, Ohio and Michigan, primarily. And it’s a question of whether they’re going to lose enough other voters in places like Iowa and such in the retaliation, but at least the EU and Canada, and probably China, understand the game and realize they have to retaliate in politically framed fashion in dealing with Trump, because it has nothing to do with actual substance. SHARMINI PERIES: All right Jerry, let me give you the last word. Look ahead for us. How do you see this situation unfolding? GERALD EPSTEIN: Well, I think we’re going to see a lot more of the same, a lot of instability. Trump is going to keep pushing this trade line because he thinks it’s politically popular. The rest of the G7 and the European countries and Canada are going to have to finally realize that this old order, led by the U.S., is coming unwound. And the interesting question is, how are they going to react? What kind of new order are they going to try to create, or are they just going to dissipate in a kind of anarchic, “each man, woman for themselves.” And so, this is just going to lead to more and more disorder. But I think we’re going to just keep seeing a lot more of the same and it may get more unstable as we move ahead. SHARMINI PERIES: All right, Jerry. I thank you so much for joining us. Bill, I thank you so much for coming on. Thank you both. We’ll talk to you soon.